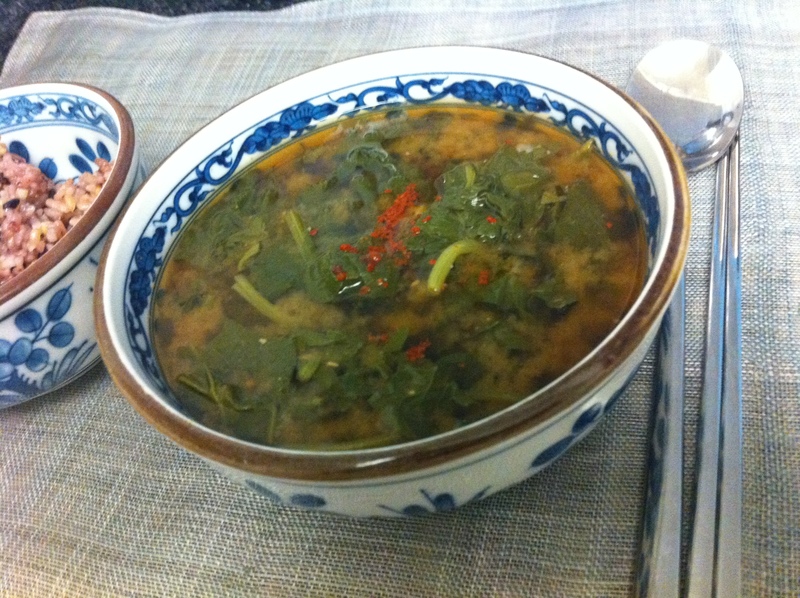 Sigeumchi Duenjang-guk (시금치 된장국)is a very quick, nutritious soup that I make regularly for my family. The other day, my husband bought a huge bag of spinach from the farmer’s market. I cleaned and blanched all the spinach in salted water then used half of it to make sigeumchi-namul (시금치 나물) and the other half for sigeumchi duenjang-guk. Traditionally, Koreans use clam broth but I usually use myulchi (dried anchovy) broth simply because I always have myulchi at home. 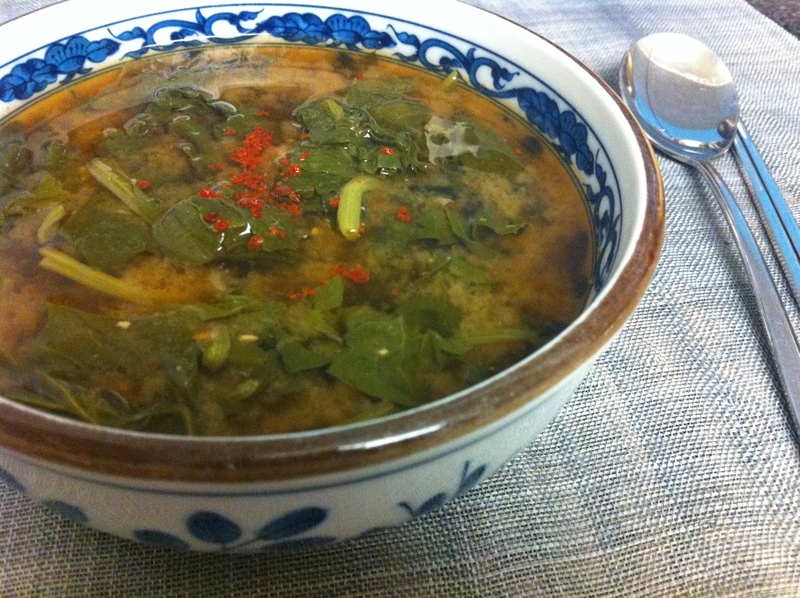 If you prefer to use clam broth, see my post on Bajirak Kalguksoo (바지락 칼국수) which shows how to make this broth. Also, it is nice to add thinly julienned seeded red chilies but I used gochugaru (red pepper powder) instead because I didn’t have any red chilies at the time. 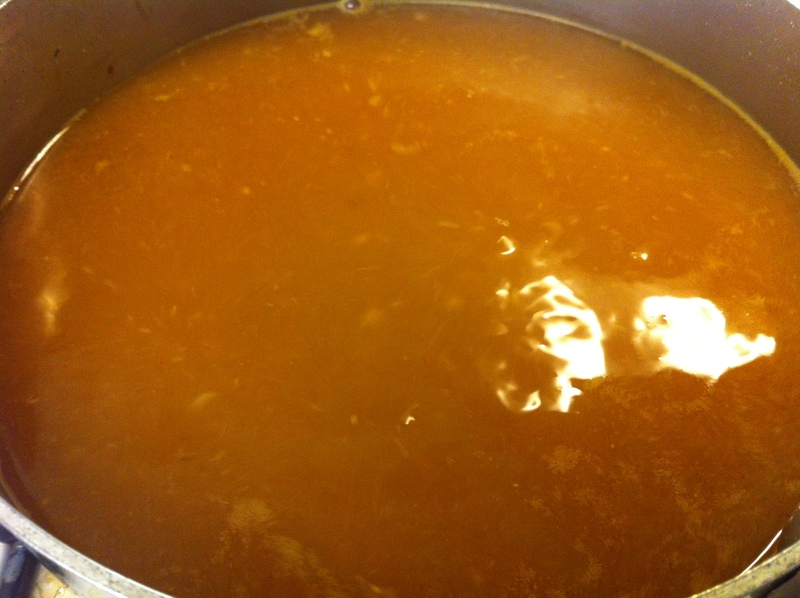 Make myulchi broth (see post). 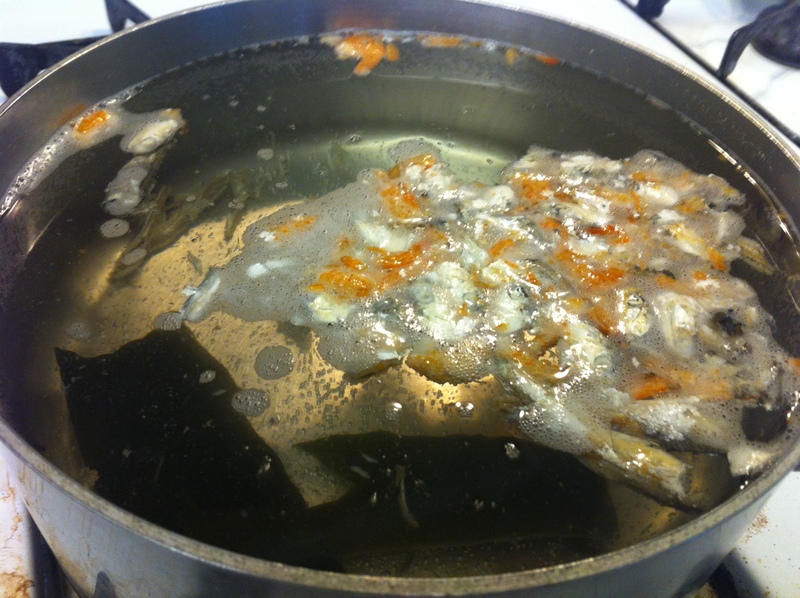 In the meantime, blanch a package of cleaned spinach by bringing salted water to a boil, cooking the spinach for about 20 seconds then quickly rinsing it in cold water. 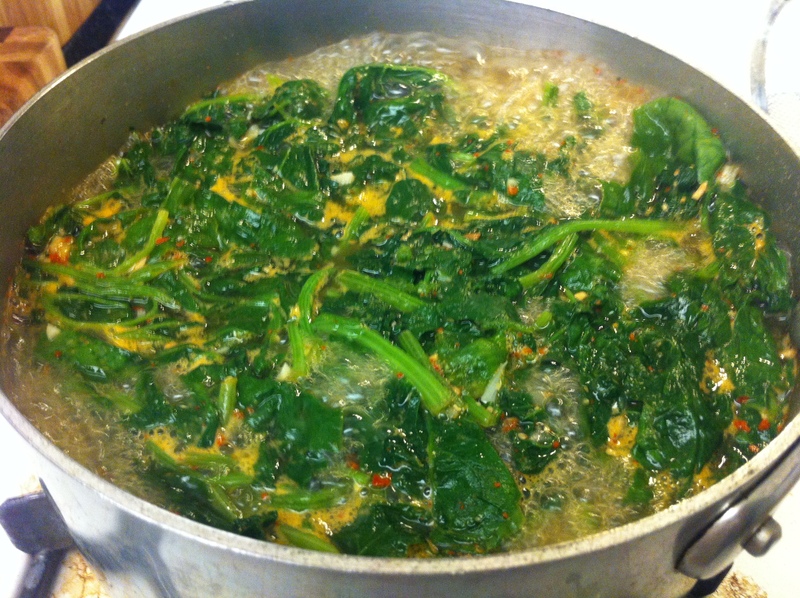 Drain the blanched spinach. 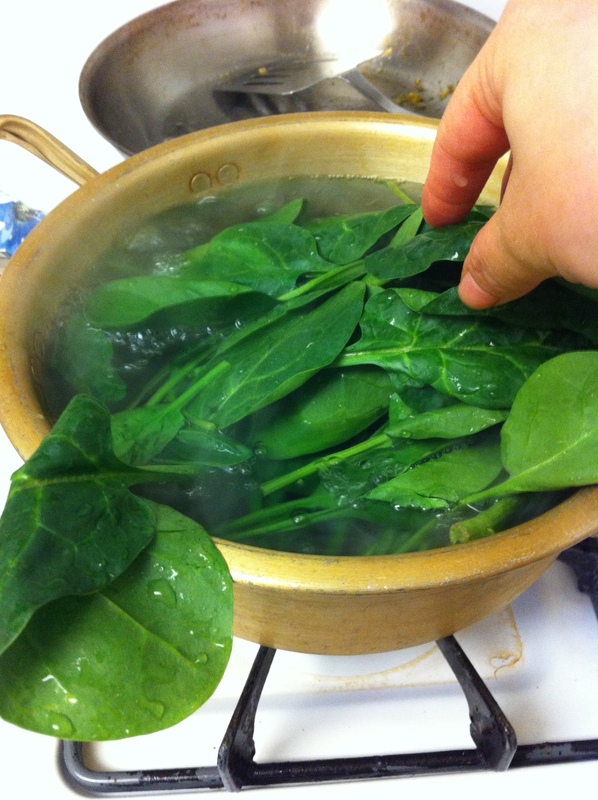 Cut the well-drained spinach across about 2 or 3 times depending on the size of the spinach. 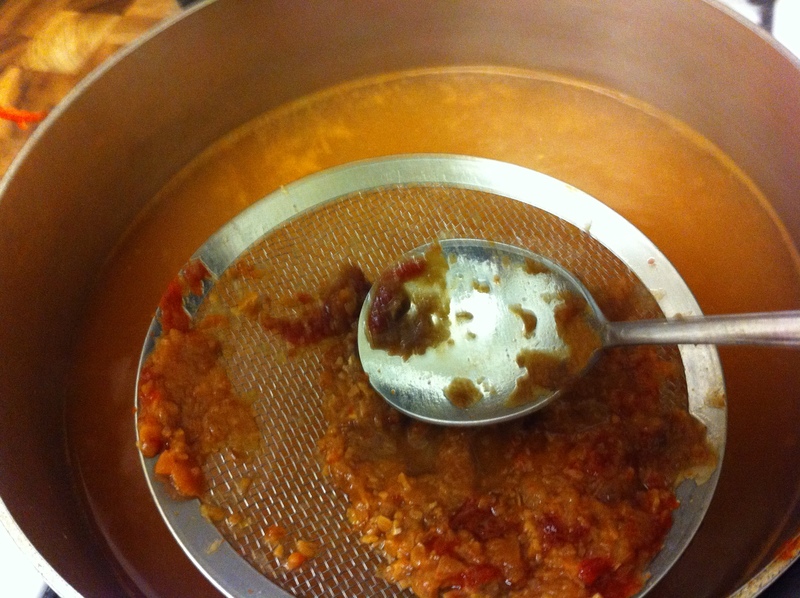 On medium high heat, add the duenjeng (된장) and gochujang (고추장) to the myulchi broth and mix well. Add the spinach and garlic. Cook for about 2 minutes. 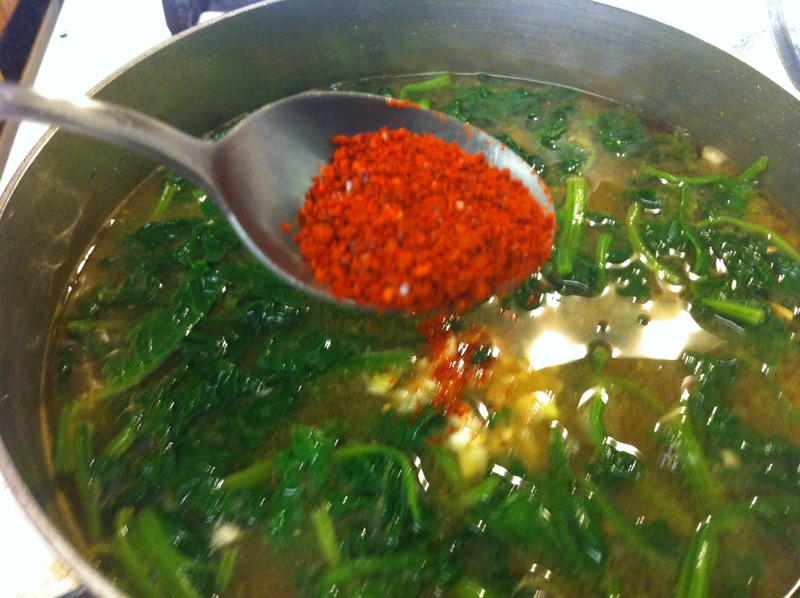 You can add gochugaru (고추가루) or red chili to add a little heat. Season with gukganjang (국간장) or salt. 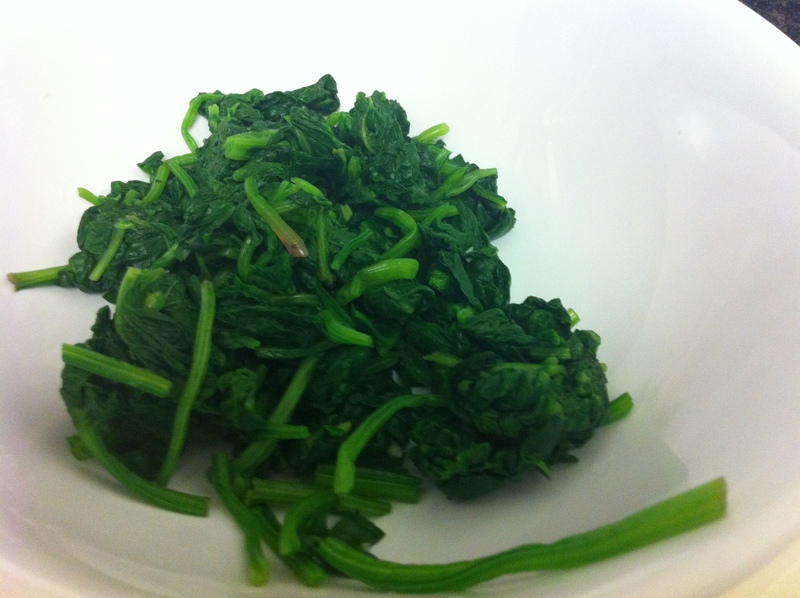 It is better to serve immediately so the spinach stays bright green. 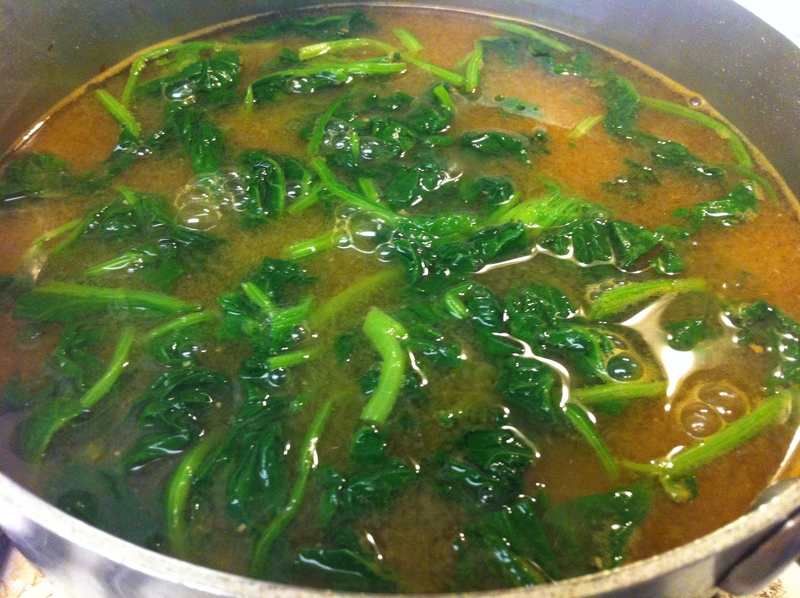 The longer the spinach stays in the soup, the darker it get but taste wise, it does not make much of a difference. This entry was posted in Good for breakfast, Good for dinner, Good for lunch, Soup/Stew (국/탕/찌게), Vegan/Vegetarian Options and tagged Clams, Duenjang, Myulchi Broth, Spinach by gangnamkitchen. Bookmark the permalink.